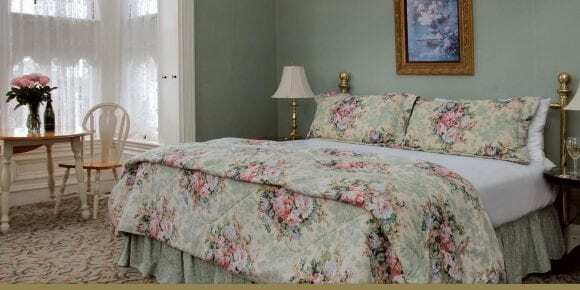 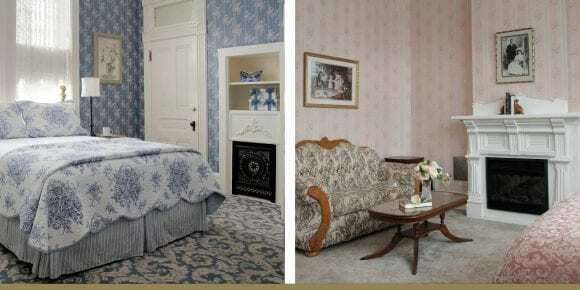 A simple and sweet room with a queen bed, private bath, wireless internet access and cable TV. 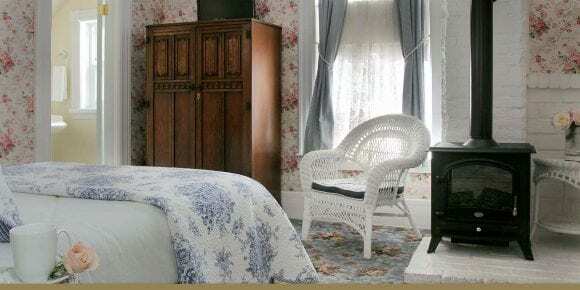 A cozy room with a double bed, a private bath, english stove fire place, wireless internet access and cable TV. 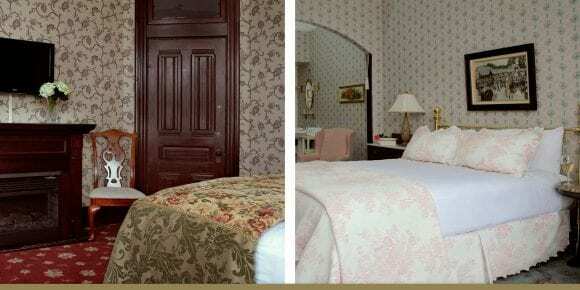 Adjoining doors makes it a very comfortable two-bedroom, two bath suite. 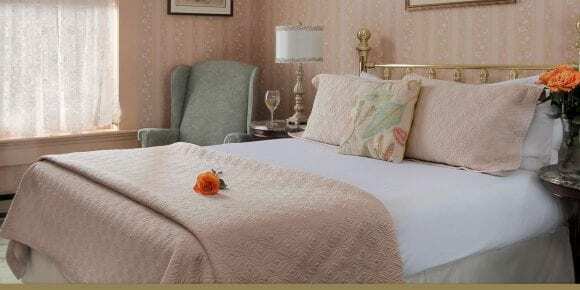 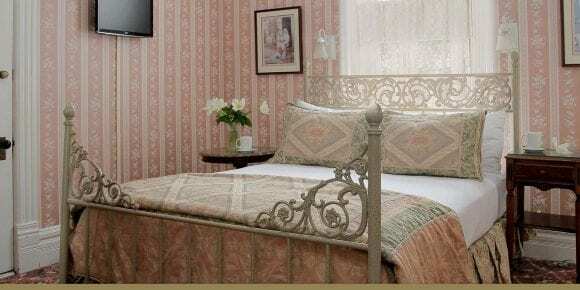 A cozy but precious room with a queen bed, a private bath, wireless internet access and Cable TV. 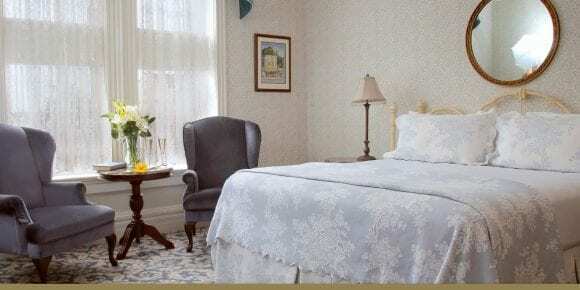 A Room with a view of Main street with a queen bed, a private bath, wireless internet access and Cable TV. 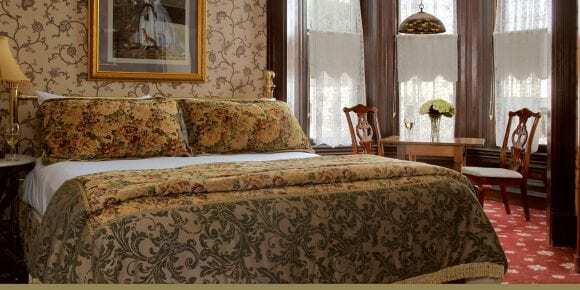 A beautiful 800 square foot ground floor suite with a full kitchen, separate bed room with a king bed, private bath with a shower and a claw foot tub, living room, free wireless internet access and large flat screen cable TV. 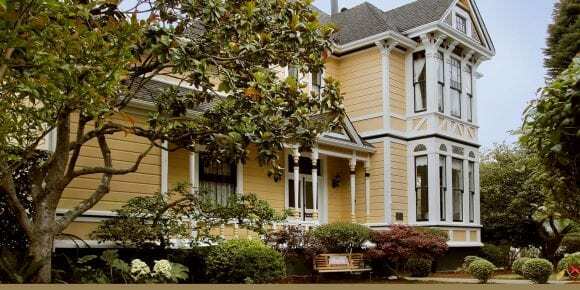 This IS the old Catholic Church Rectory with original Eastlake Stick Victorian architecture. 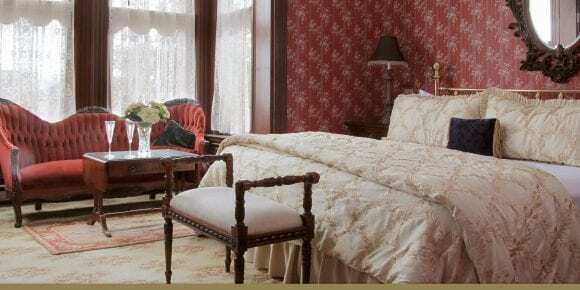 A magnificent, 2-story, fully restored large four bedroom Victorian home.